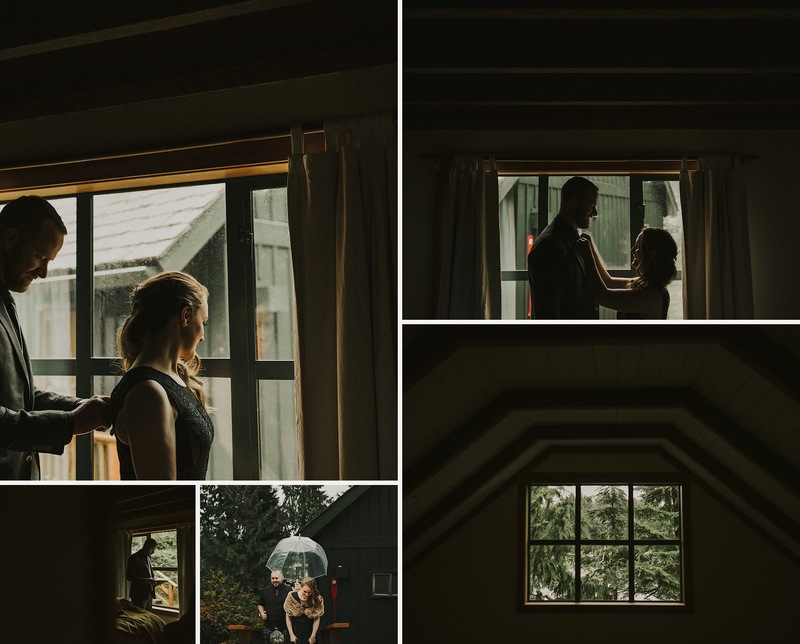 When Kate and Adam got married, they knew they wanted to take all the traditional norms for a wedding day and tossed them out the window. 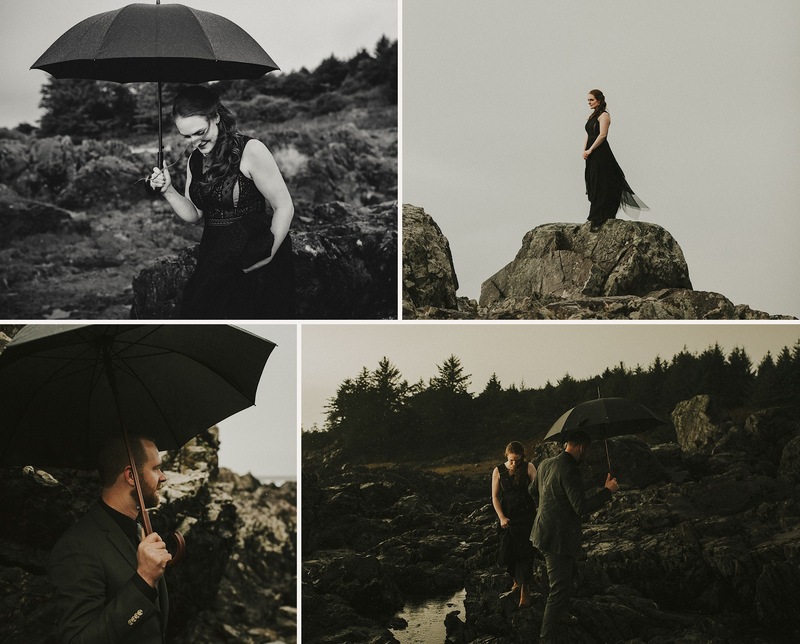 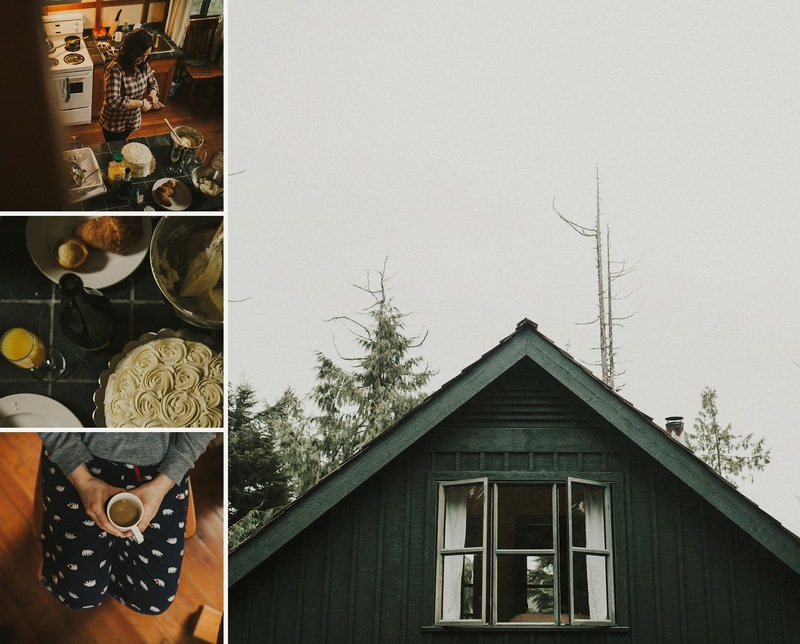 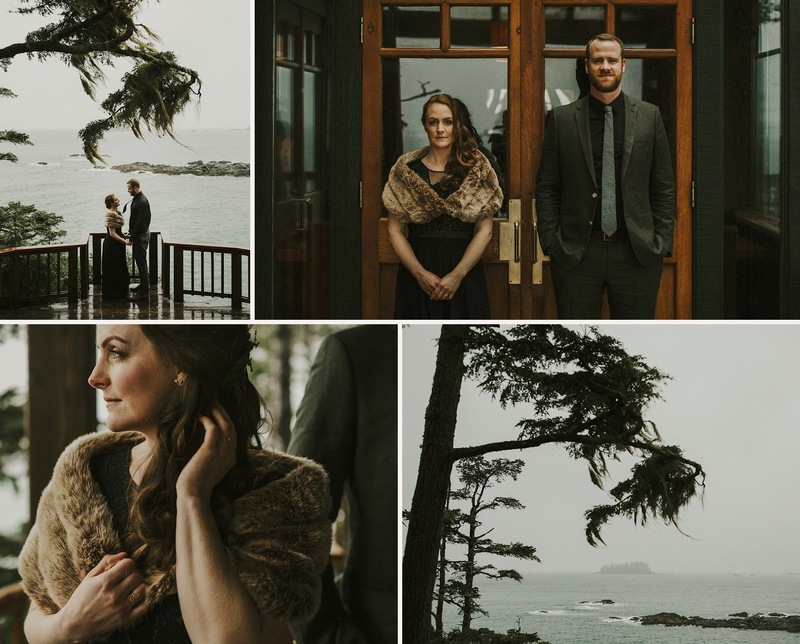 They knew we wouldn’t have time to make it all the way to Ucluelet for their portraits on the day of the wedding, so instead we headed out there the day before and spend a couple of hours right before the sun went down creating some magic for them. 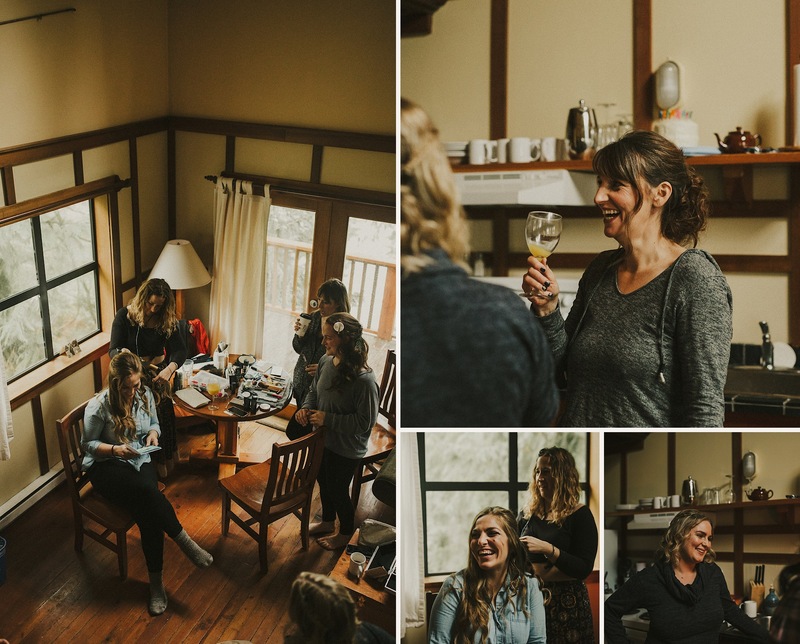 On the big day, they got ready in the same house and helped each other with the finishing touches to their look. 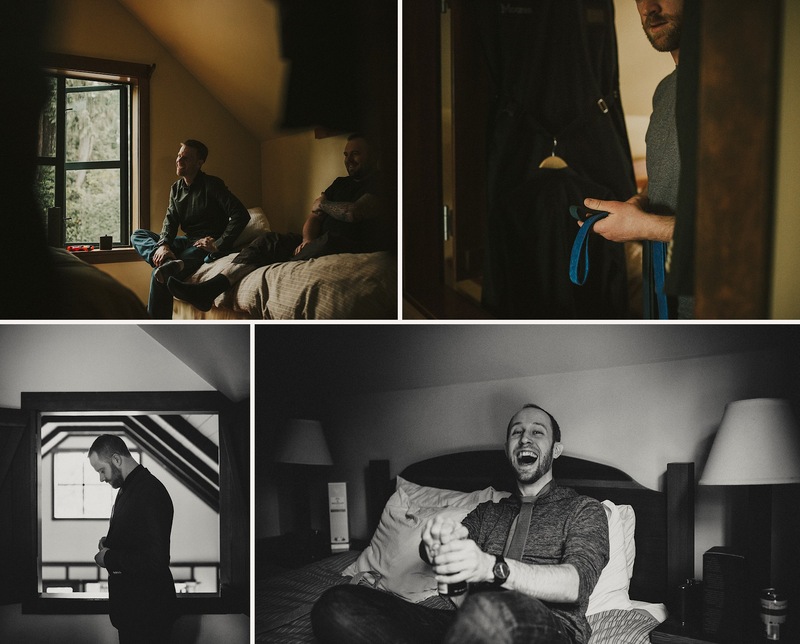 They signed the legal paperwork that morning so their best friend (and the one who introduced the two of them) could marry them in front of their friends and family. 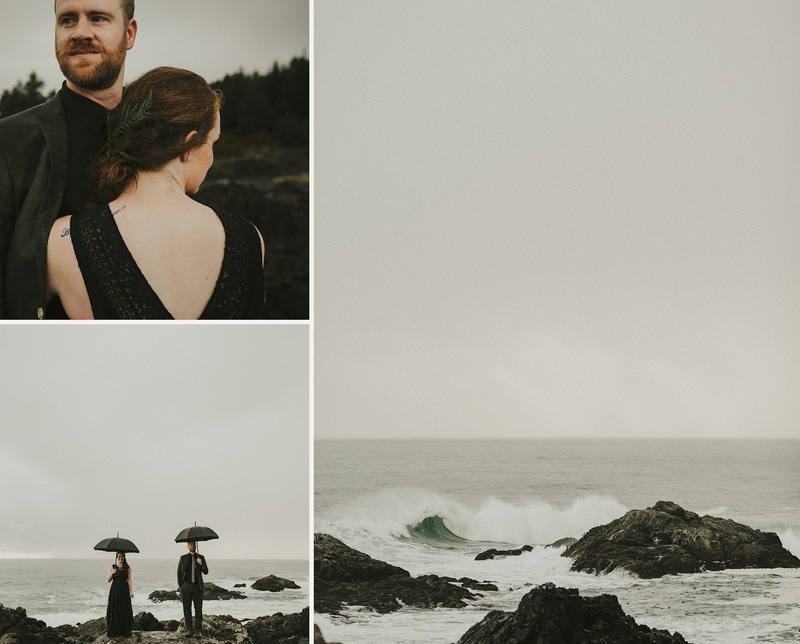 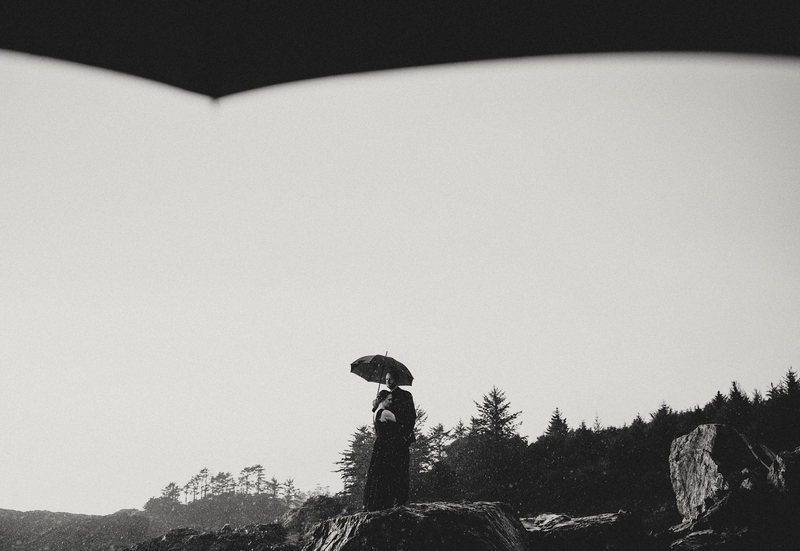 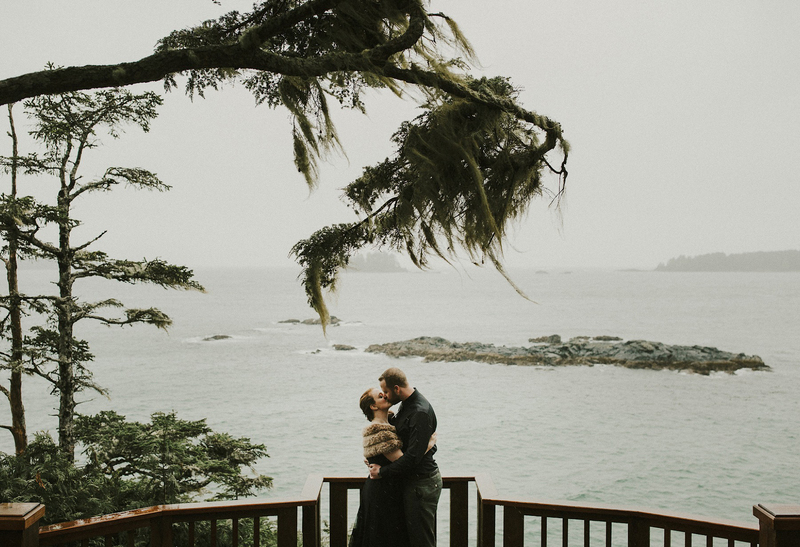 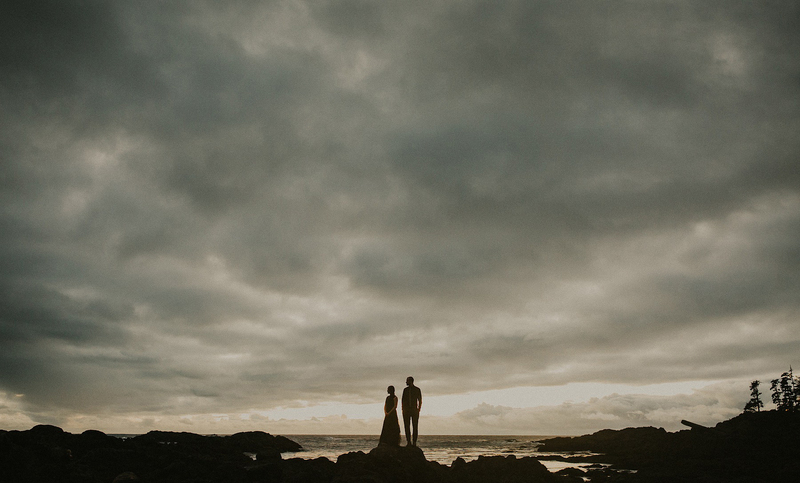 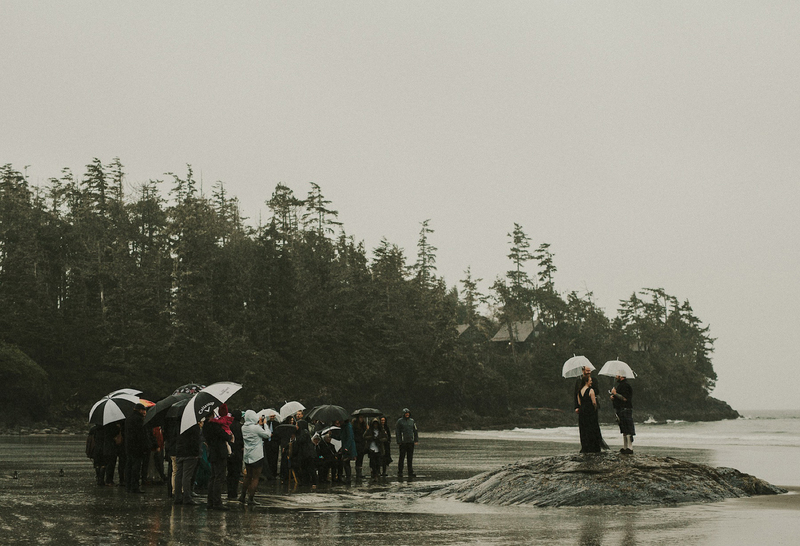 They always visioned getting married on a very special rock on Middle Beach in Tofino, and even in the rain, decided they didn’t want it any other way! 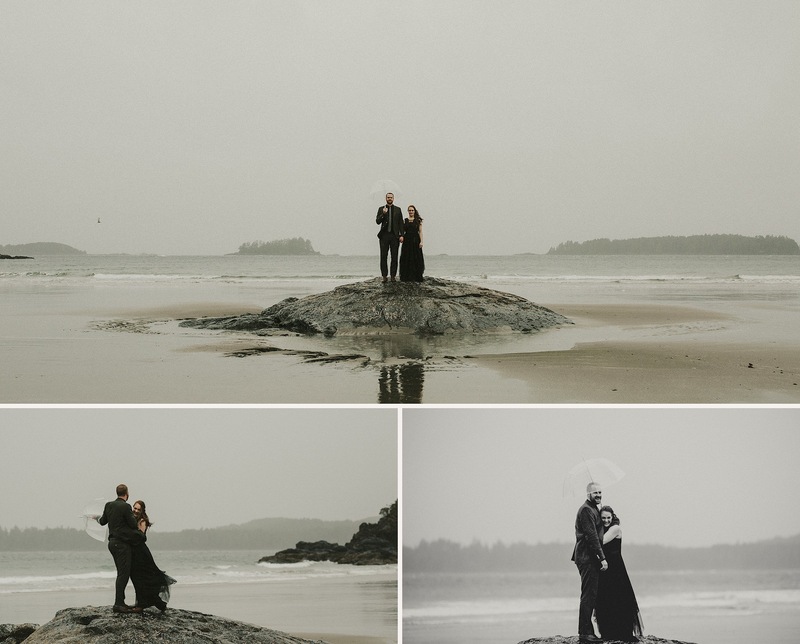 And to top it all off, rather than walking down the aisle, they stood out on the rock and had all their guests walk to them! 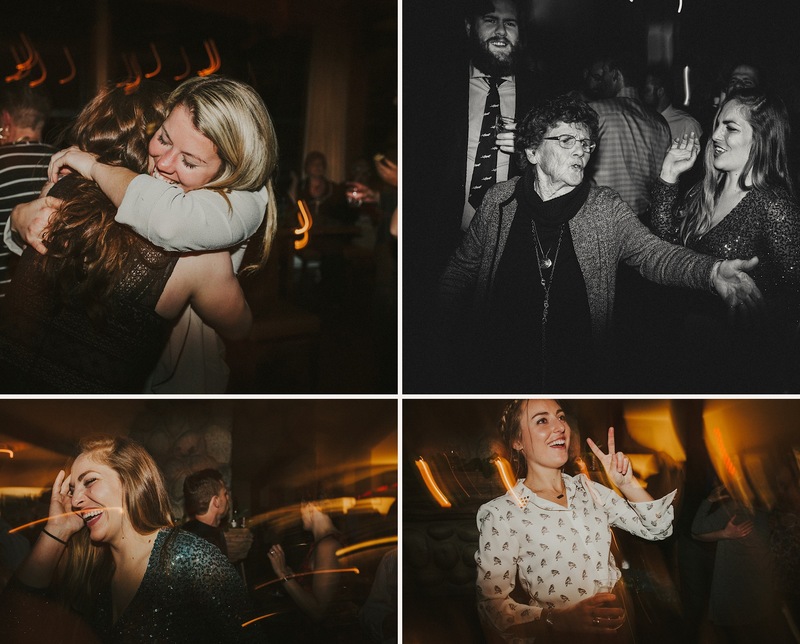 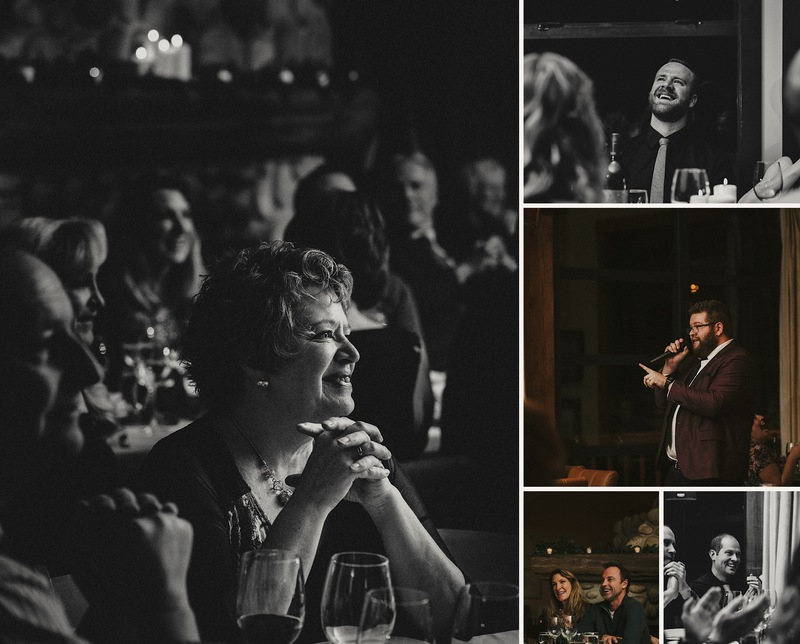 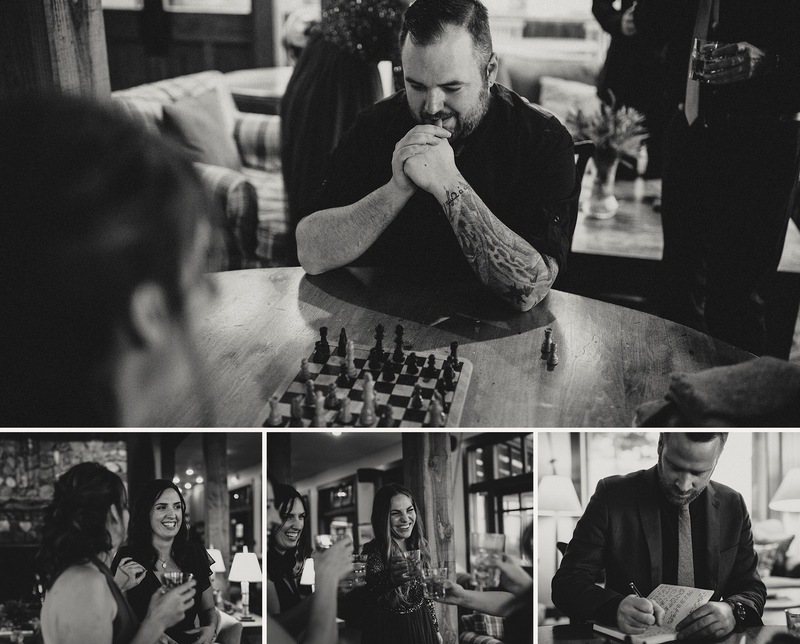 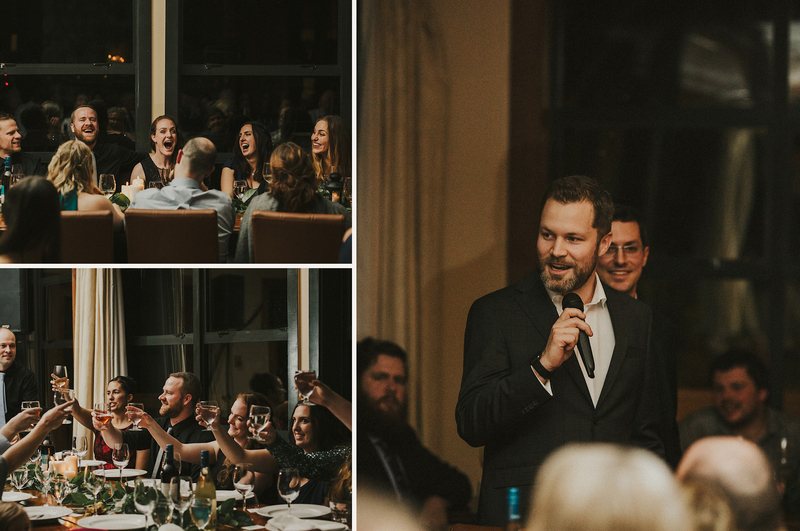 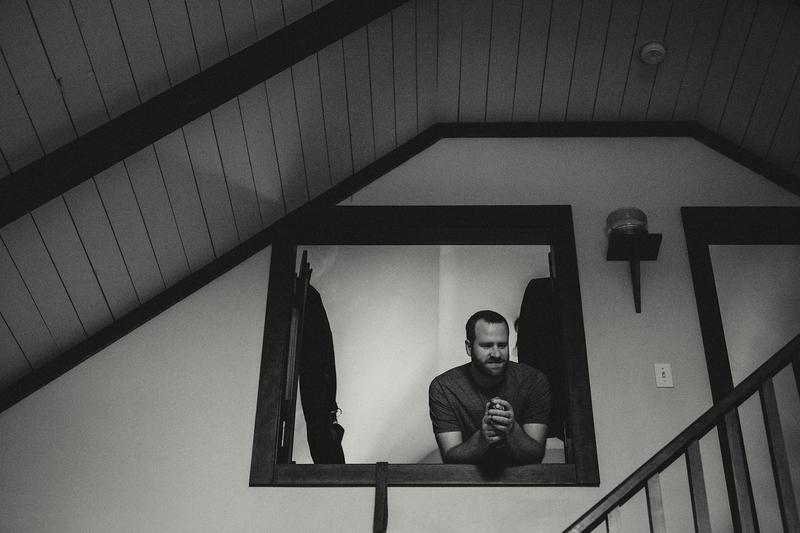 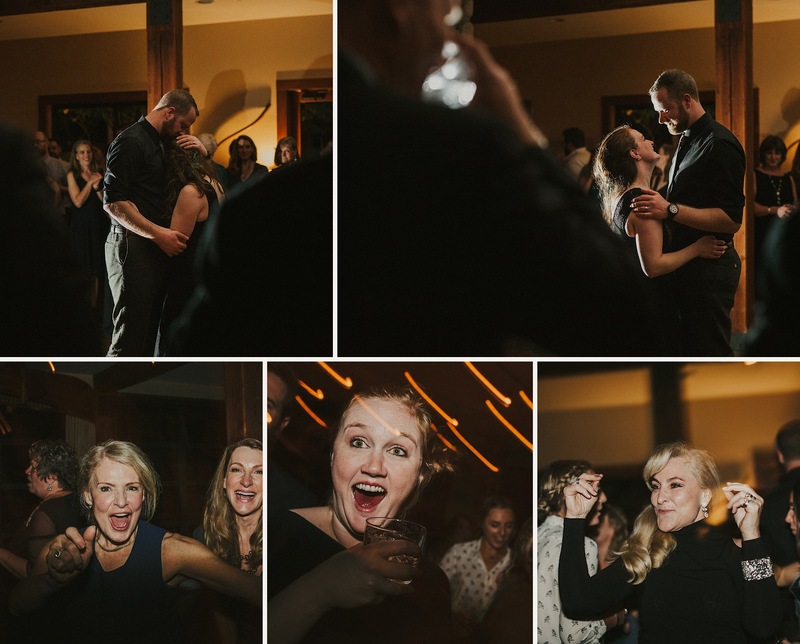 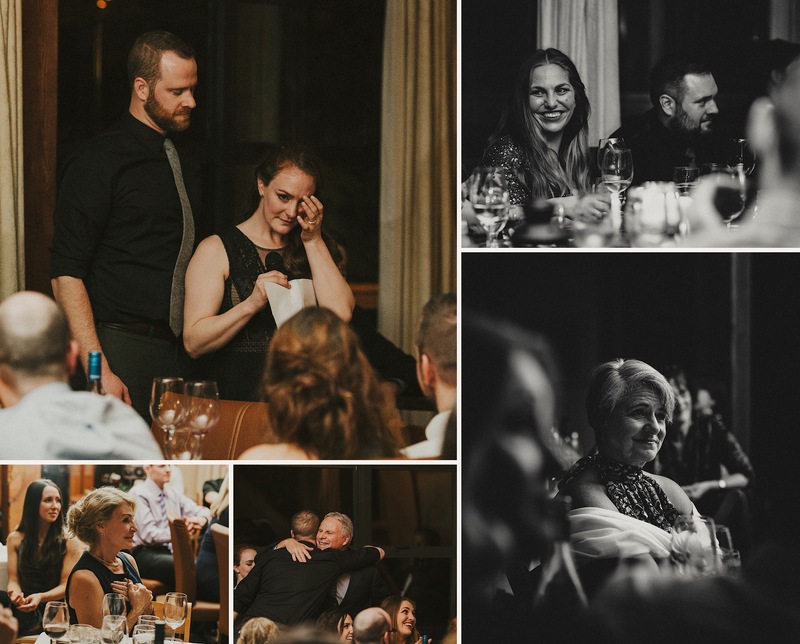 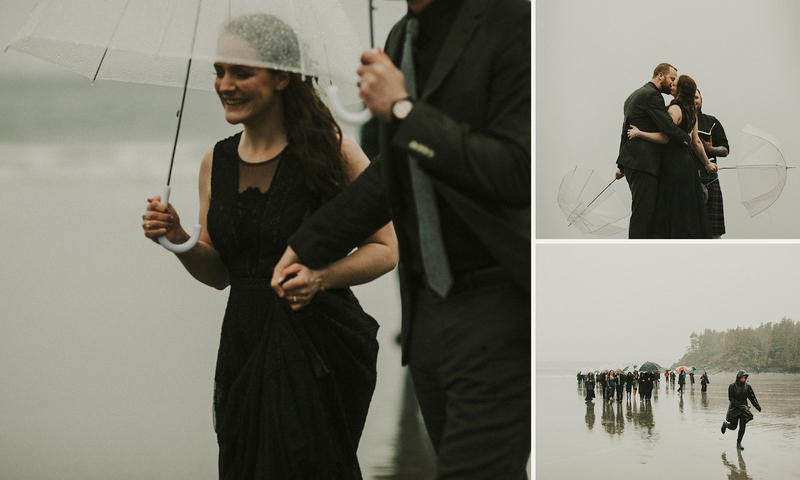 This wedding was extra special for us as Jeff went to high school with the groom, and it was so wonderful to watch our close friends tie the knot in the very way they had envisioned. 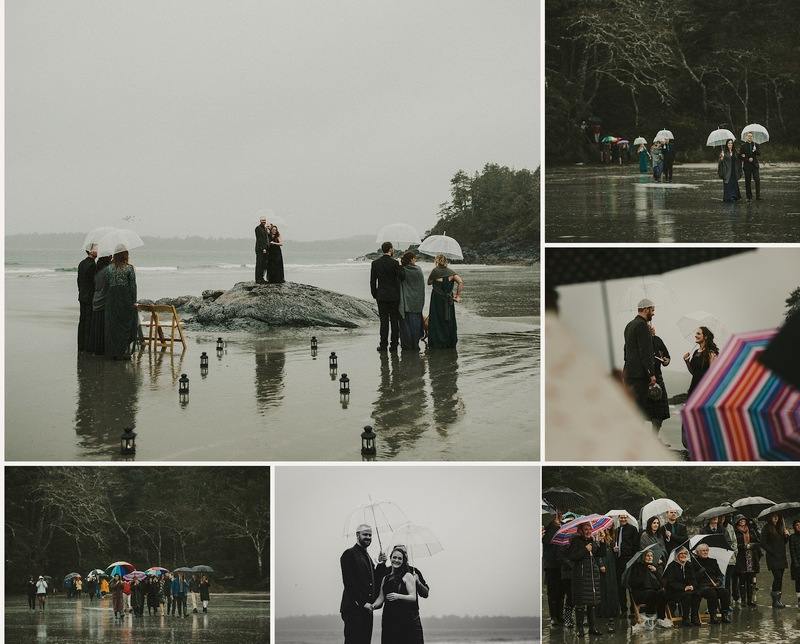 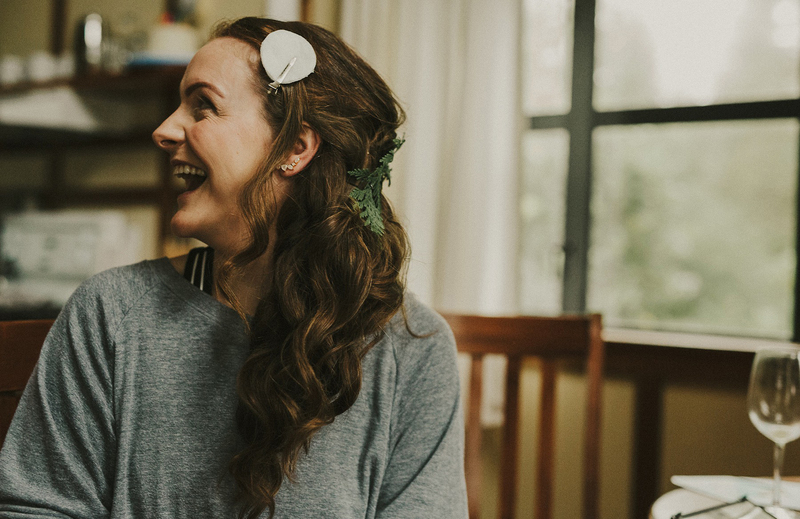 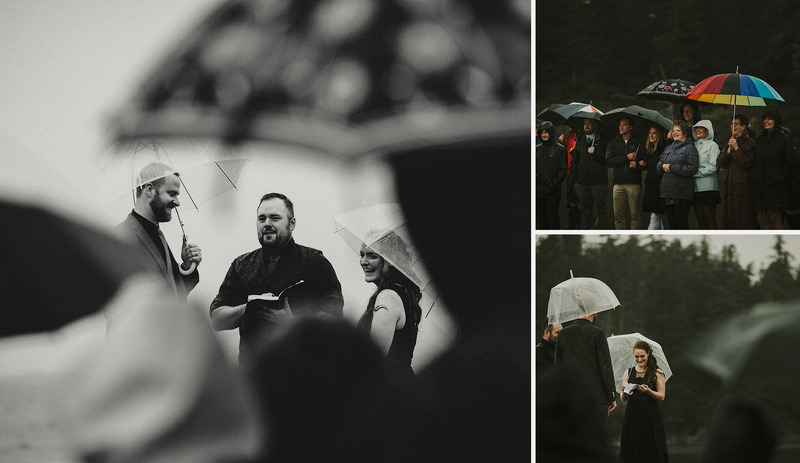 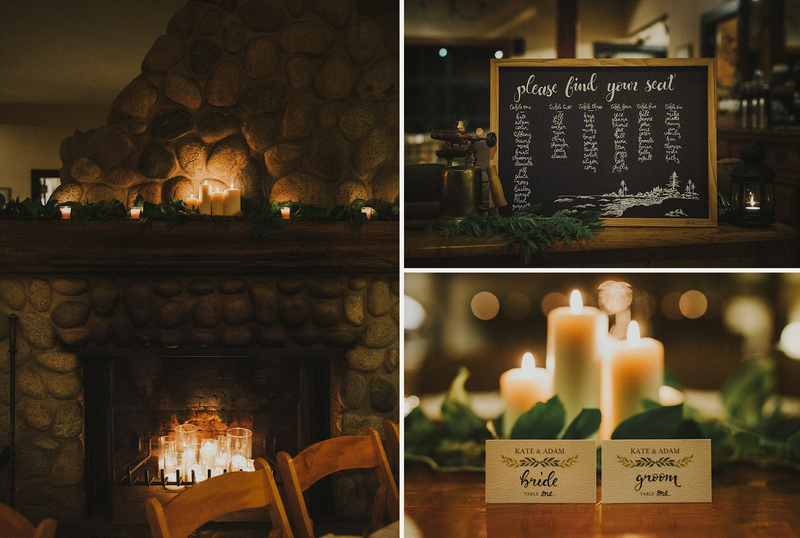 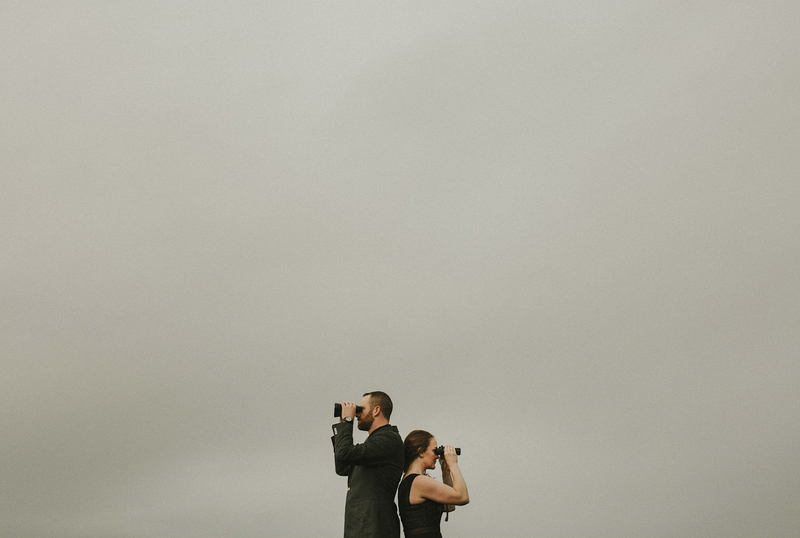 A huge thank you to Zoe from Rare Earth Weddings who helped pull everything together and coordinated all their guests trekking down to the beach in the rain!